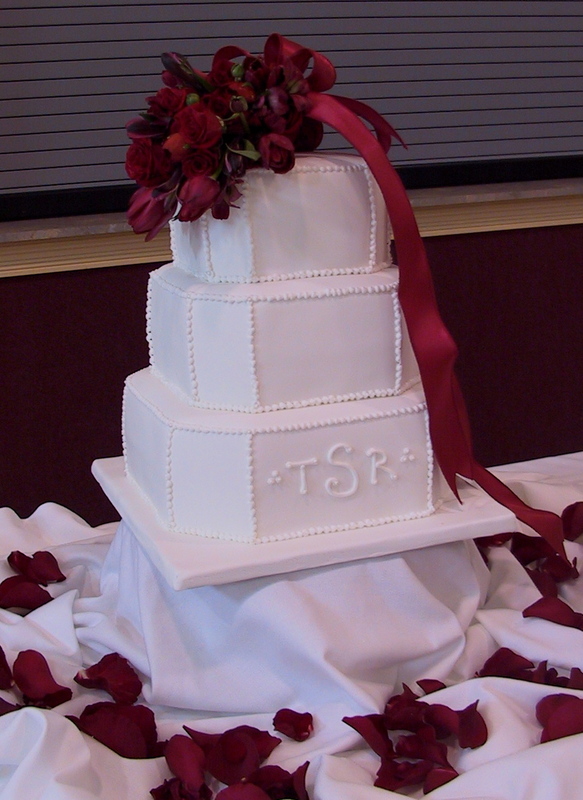 This elegant white on white wedding cake was created for Carissa and Mitch’s wedding in Williamsburg, KY. 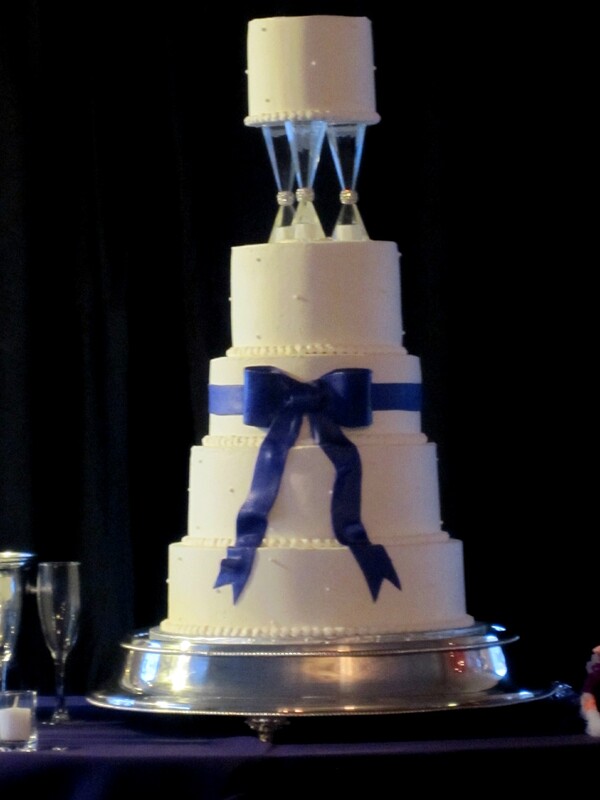 The cake is a 4 tier round and 2 tiers are piped in vanilla buttercream rosettes. 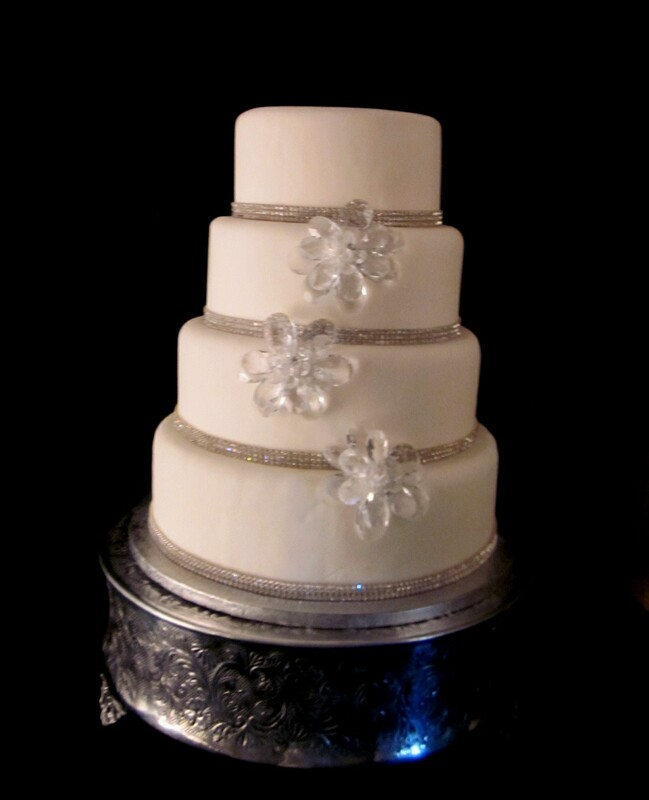 The second two tiers are adorned with fresh white hydrangeas. 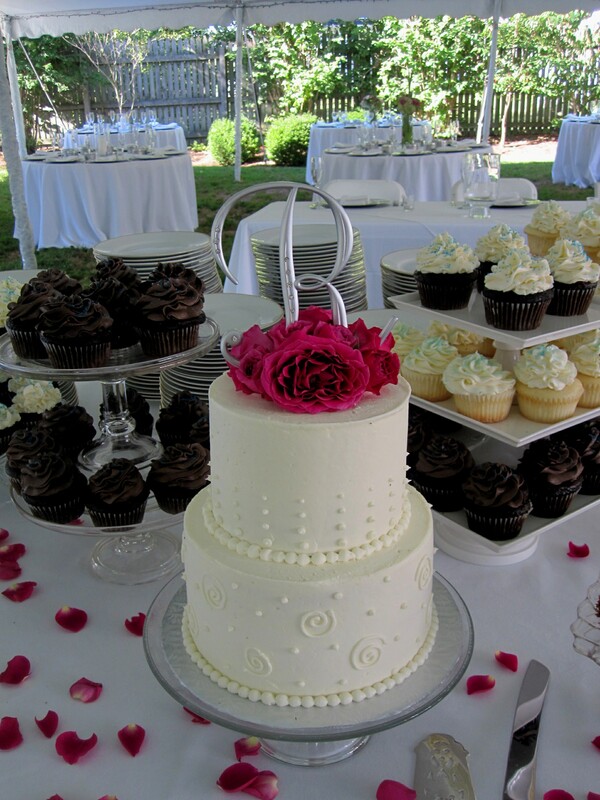 The cake flavors the bride and groom chose were spiced cabernet cake and filling, lemon cake with fresh raspberry filing, chocolate cake with cookie butter buttercream filling and a traditional white cake with vanilla buttercream. 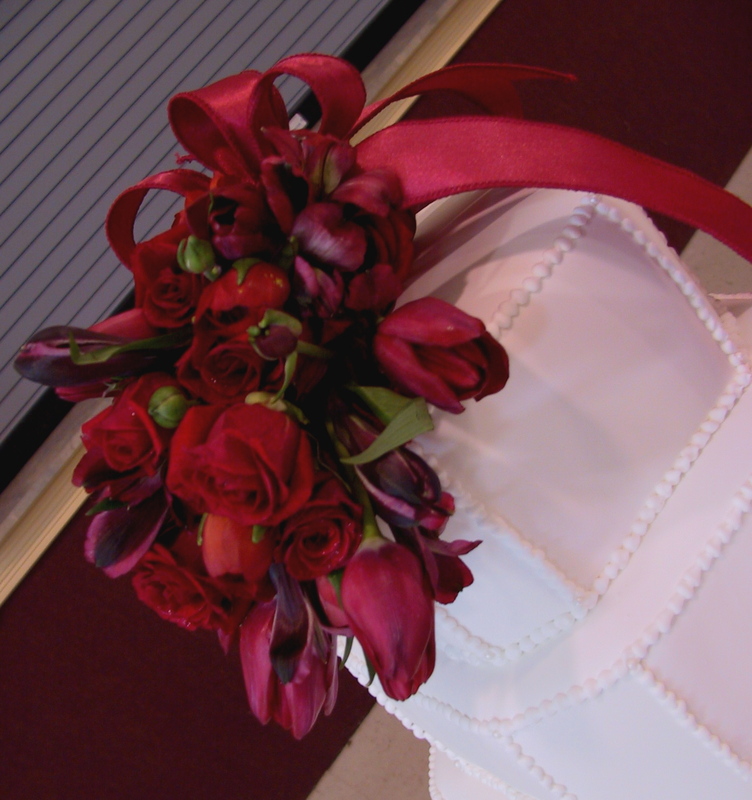 The photography was provided by Studio K – Krystal Jones. 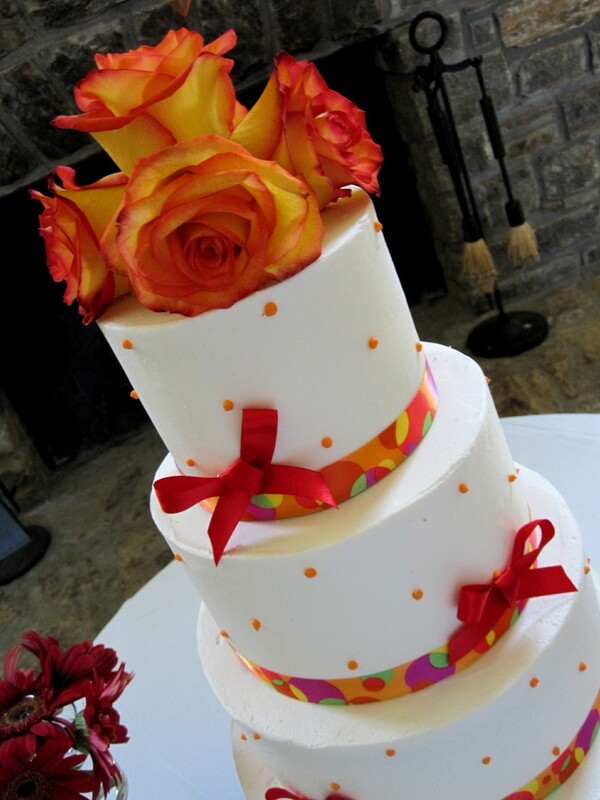 This colorful round wedding cake was created in buttercream and piped with red swiss dots and accented with a tangerine, yellow and red ribbon. 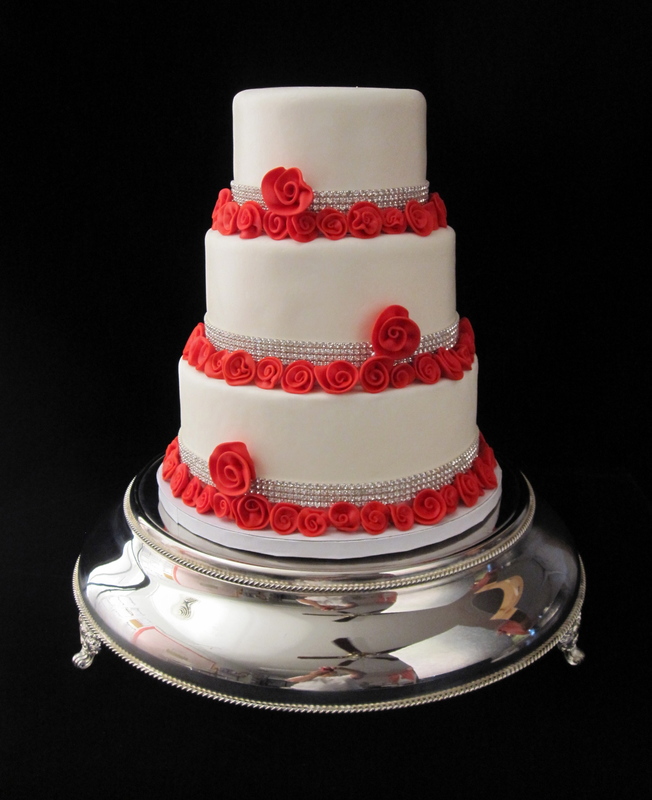 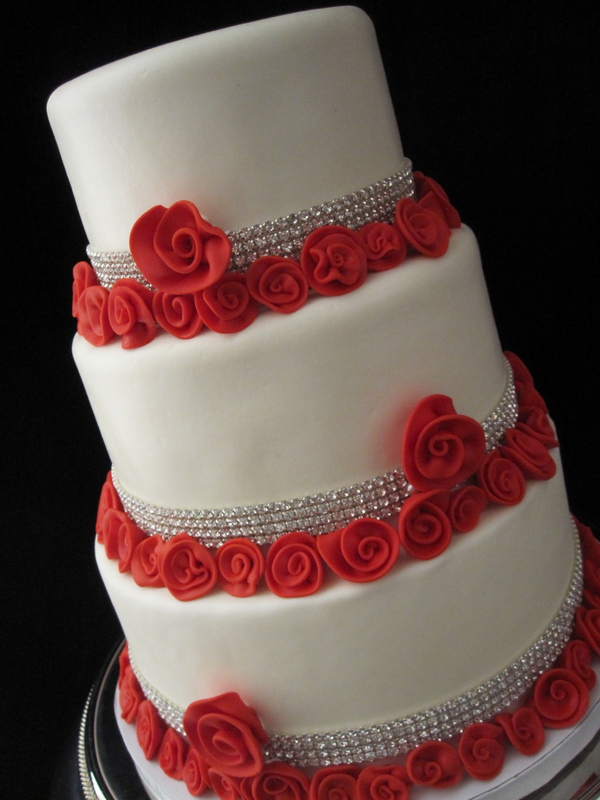 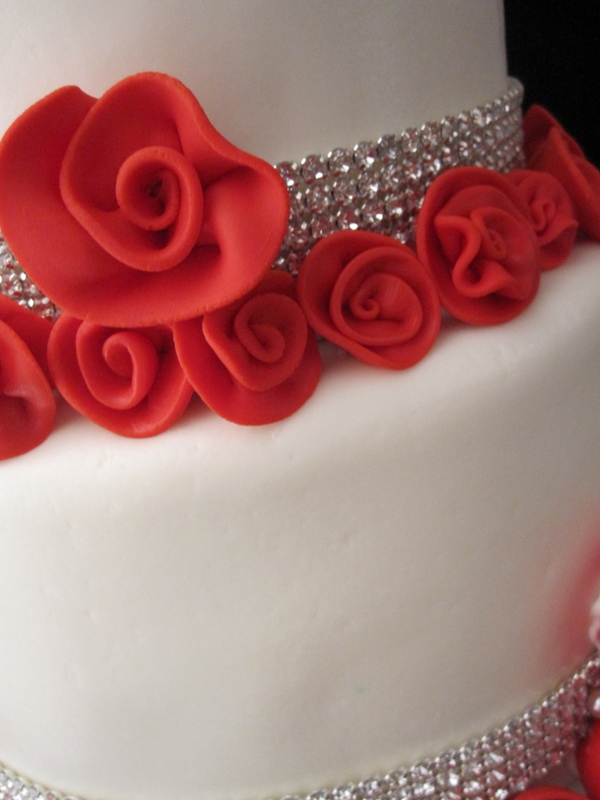 The wedding cake is topped with fresh roses. 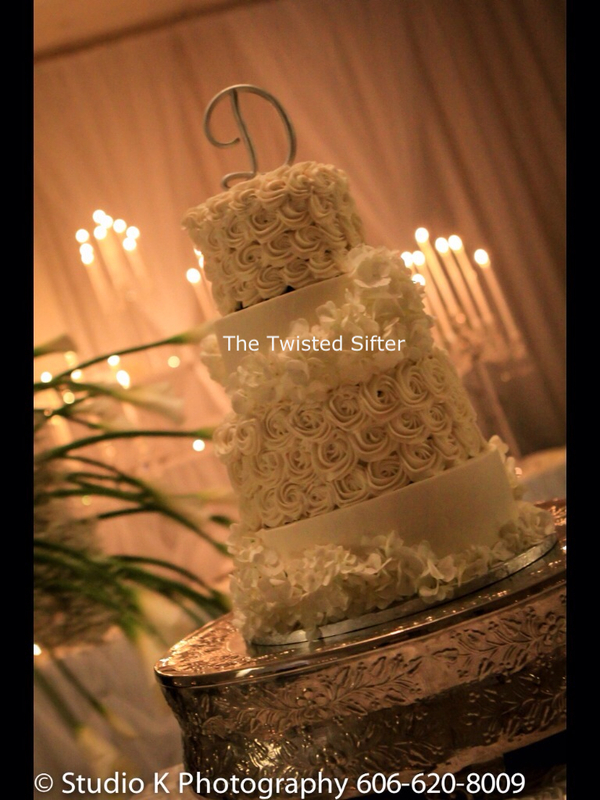 Visit our website at TheTwistedSifter.com for more information.